Searching for Boston rooms for rent or roommates using outdated websites and limited inventory can take hours every week and still bring nothing but frustration and wasted effort. Yet, many Boston renters keep trying older traditional methods because living with roommates nearly always helps save you a ton of money. However, you don’t have to suffer through the searching process anymore. We got you covered. With the professional expertise and cutting-edge technological tools you can find through Douglas Paul Real Estate, we have a much easier way! With the roommate and room matching database found on Douglas Paul, you can sit back and relax while Boston rooms for rent that match your criteria come directly to you! Simply fill out the Roommate Finder tool below, sharing your lease criteria, budget, preferred neighborhood, the amenities you want, and a little about your lifestyle (to check for roommate compatibility). We’ll send you Boston rooms for rent that fit your needs, with likeminded potential roommates, so you don’t have to blindly comb the internet! With this advanced technology, you can potentially find an even larger group than you expected to save more on rent and utilities every month. Would you rather talk on the phone, or stop by the office in person to go over your preferences? The friendly, knowledgeable agents of Douglas Paul Real Estate can often take you on a showing within minutes. We bring that personal touch and professional expertise to every apartment-hunter we work with, whether in person or through the Roommate Matching Database. Once we’ve found you your perfect Boston apartment share, our professional real estate agents will organize and simplify move-in paperwork, so you can focus on settling in! Are you ready to make your apartment search easier, faster, and more fun? Fill out the Roommate Finder below and find shared housing in Boston now! We hear from Boston renters all the time who spend hundreds of extra dollars per month on rent to avoid dealing with the hassle of finding a roommate or subletter. Having roommates also saves considerable money on utilities such as cable, internet, gas, furniture and many other things. There are lots of people in Boston that want to start saving up money to buy their first property, and paying too much rent never helps in that quest. Everyone knows that in Boston, having roommates is the fastest way to start saving up for your own property. Do you want to start saving money today? 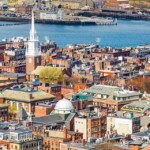 When you list a Boston room for rent or list a Boston sublet with Douglas Paul Real Estate, it is far easier than you thought possible to find the right roommate or subletter in a short turnaround and start saving money fast! We are real estate professionals with decades of experience in the unique rental markets of Greater Boston, MA, so we know how to help you find the right roommate. With the Roommate Matching Database, we’ll send your empty room directly to apartment-hunters whose search criteria match your shared apartment. We even take into account roommate compatibility factors, like a pet and car ownership, so you’re more likely to find someone you really want to live with! We also offer the personal touch and knowledgeable professionalism you can only find from licensed real estate agents. From initially listing your room or sublet to helping with the move-in paperwork, like lease or sublet agreements and guarantor agreements, we’ve got your back. We have worked with thousands of landlords and we know how to help structure and optimize paperwork so that everyone benefits and wins! With Douglas Paul Real Estate on your side, there’s no excuse to spend extra money on an empty bedroom. 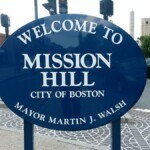 List a Boston room for rent or sublet now! You can get started by filling out out the Room Listing Form.